New Zealand proudly stands among the countries with a strong tradition in sports: rugby is more of a national obsession than a hobby, cricket is played by almost everyone in the summer, and basketball is on the rise. Yet sports seem to be gradually giving more and more space to a new type of pastime: gaming. 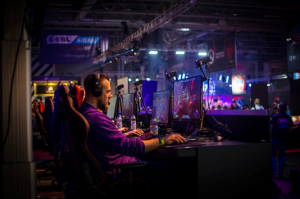 Many compare competitive video gaming to sports – hence the name “eSports” – and point out that there are significant similarities between the two, despite an obvious disparity in the amount of physical exercise involved. Others are not convinced. But the truth of the matter is clear: New Zealanders love video games. All types of online gaming are popular in New Zealand, from MOBAs to online casino games like poker and roulette. The latest Digital New Zealand Report 2018 has finally documented the statistics and trends to prove once and for all this meteoric rise of video games. According to the report, 67% of Kiwis engage in playing video games and 47% of gamers are female. The average gamer has been playing for the last 13 years and is 34 years old – but, interestingly, 44% of people who are more than 65 years old play video games. On average, New Zealanders spend 85 minutes every day playing games, with the number climbing to 93 minutes for males and falling to 75 minutes for females. Those who play casually invest around 10 minutes a couple of times per day, while gamers who go for more in-depth playing tend to typically invest an hour into their gameplay. There is also a sort of sharing culture across gamers, who often come together to exchange tips or experiences. 72% have used tips from other players, like walkthroughs, to aid them in playing a game, while over 30% watch e-sports and almost 1 in 4 upload videos of them playing games. Online gaming is also profiting from this ever-evolving familiarisation of Kiwis with video games. Games like Dota 2 and League of Legends are extremely popular across the world and New Zealand is no exception. More traditional gaming markets, like online games of chance, ranging from online slots games to poker, blackjack and baccarat, also contribute to that rising trend. Online casinos are very popular with the crowd and online casinos usually offer Kiwis bonuses like free spins in order to attract more crowds and reward loyal and seasoned players. Online pokies are among the most popular online casino games, as players value the excitement and the directness of the games – and also rely on determination and persistence to reach that coveted grand payout. Casinos typically offer other special bonuses like prizes, weekly bonus offers and pokies tournaments in order to keep this growing gaming community satisfied. Most pokies are themed and usually offer innovative and sometimes interactive elements to catch a player’s attention, since the competition among the different games is quite hard. Kiwis seem to understand the value of gaming in all aspects of life. It is no coincidence that, as per the Digital NZ Report 2018, most adults stated that they play games to have fun and pass the time, while most older individuals responded that they mainly play to keep their mind active and get rid of stress.